UPDATE: By The Horns opens on March 1. The town of Mansfield is already hot, but it's about to get hotter. 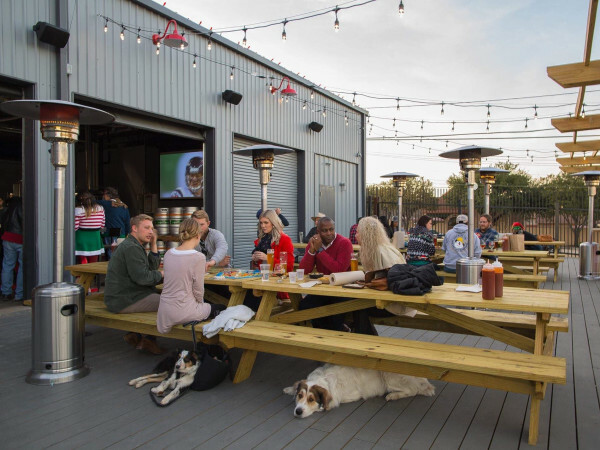 So much hotter, with a new restaurant and brewpub called By the Horns Brewery coming from Jason Boso, founder of the Twisted Root burger chain and Truck Yard, the Greenville Avenue food truck park in Dallas. 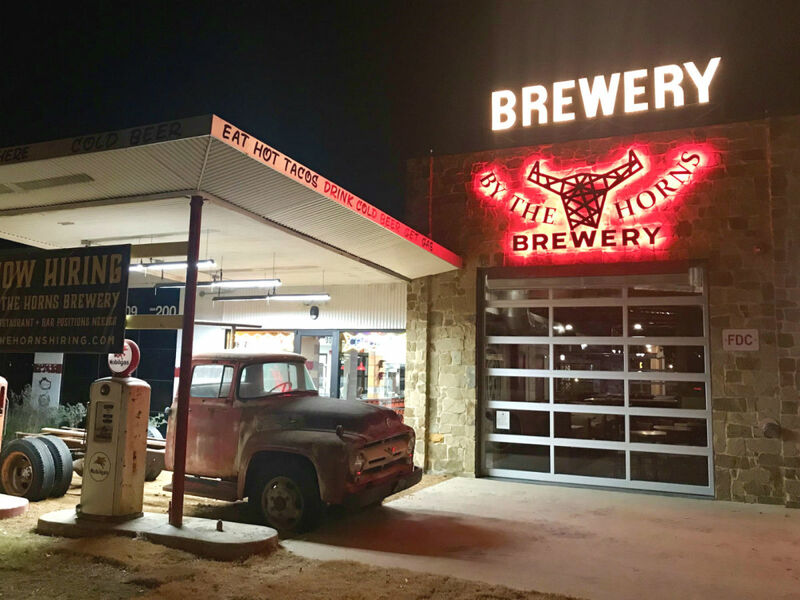 By the Horns Brewery will focus on house-brewed beers and creative tacos in an indoor/outdoor space located at 109 N. Main St., with an opening targeted for early 2019. By the Horns will not lack for charm. It's going into an old gas station and will incorporate some of the original tenant's fixtures and memorabilia, including old-fashioned gas pumps in front of the space. The interior boasts 4,000 square feet, with 92 seats and large garage doors that can be opened to the pet-friendly backyard. There'll be a full bar and a brewery led by Justin Meyers, a graduate of the University of Missouri who has plied his trade at craft breweries across the country. That includes famed Paulaner Brauhaus in New York, where he oversaw brewing and cellaring operations. He made regular trips to Munich, Germany to learn both traditional and new techniques from Paulaner brewmasters at the Bavarian brewery, which dates back to 1634. For By the Horns, Meyers has developed five beers — all traditional German beers with an American twist — that will be served on tap. There will always be two revolving beers and three flagship offerings, and custom taps will transfer the beers directly from the tank, so they never touch the air. At launch, Meyers will offer a Bavarian-style IPA, a German Hefeweizen, a Bavarian lager, a juicy American Northeast IPA and a Doppelbock. Beers can be ordered individually or as flights, and customers can also make their own six-packs of 20-ounce growlers that can be purchased on site and enjoyed at home. 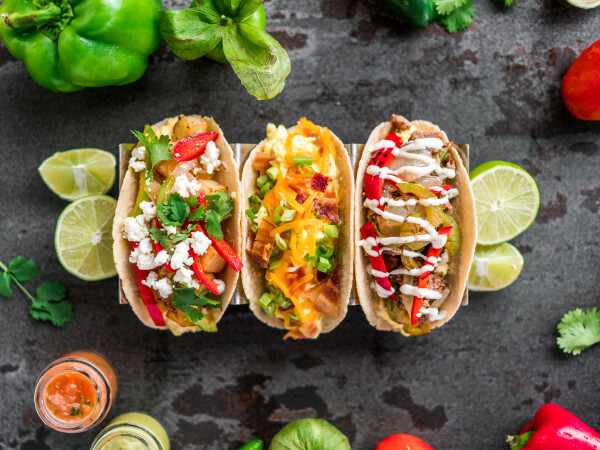 The bar will include its own Tacos & Avocados restaurant inside the space. The menu will feature rotisserie chicken and pork tacos, guacamole, and Oaxacan cricket tostadas, plus local sodas made with cane sugar. To tie the two concepts together, some of the brewery's spent grain will be used to make "beer grain tortillas." By the Horns will offer brewery tours, and live music ranging from solo guitarists to small bands will go down in the adjacent "Backyard" space on weekends. Boso says they've been working hard on the concept and are excited for the big unveil. "We hope the fine people of Mansfield and all of DFW will enjoy our fresh-brewed beers, delicious food, and relaxing atmosphere, and we can’t wait to welcome everyone in for a cold drink," he says.